The highest number of users per week was achieved this week at nearly 600. The highest number of new quotes per week was also achieved at over 4,150 as we march towards a monthly total of 20,000. Both statistics break all previous records. 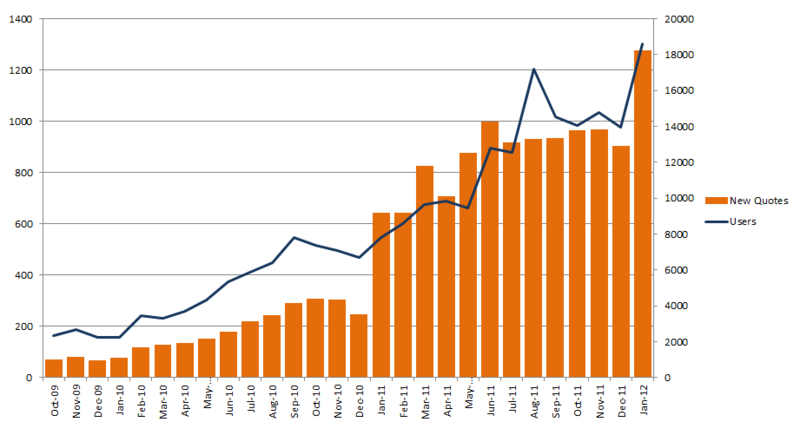 Expected User count and New Quote count for January 2012 is 1300 and 18250. Also in December 2011 the USA overtook Europe as the No.1 geography for HP iQuote use – impressive but we predict a European surge.